The Sobu line, the part from Chiba to Sakura. The line is electrified with overhead wire (1 500 V DC) and the gauge is 1067 mm. Very well-made simulation with a lot of details trackside and in the surroundings of the route. Soft curves and realistic switches. 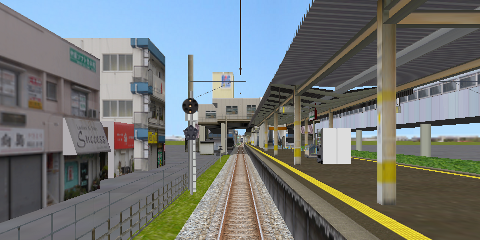 The route has disappeared from the creator's website, where now a BVE 5 version is available of this route. It is not compatible with OpenBVE.